Maintaining your bike does not have to be expensive. At KGL Racing, you will find cheap parts for motorcycles. Because we believe that maintaining your machine is necessary and has to be done cautiously with quality materials, we wish to offer you bike parts at a friendly price. Of course, you can count on our qualified mechanics to assemble them! You already paid a fair amount to afford your dream bike and to enjoy the feeling of freedom. Its maintenance is not free either and gas is not getting any cheaper. Why then would you spend more money than needed on your replacement motorcycles parts? 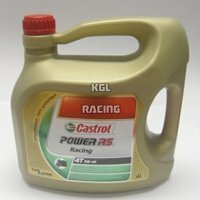 KGL Racing likes to keep the prices down. You will regularly find cheap parts for motorcycles on this page. Check our special deals below: there are true sales amongst them! -30%, -40% and if you are lucky enough, even motorbike parts at half their price!